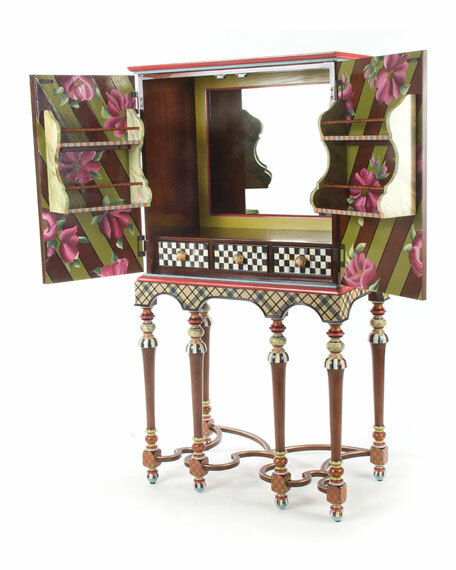 Bar cabinet made of gmelina wood with ceramic and brass components. 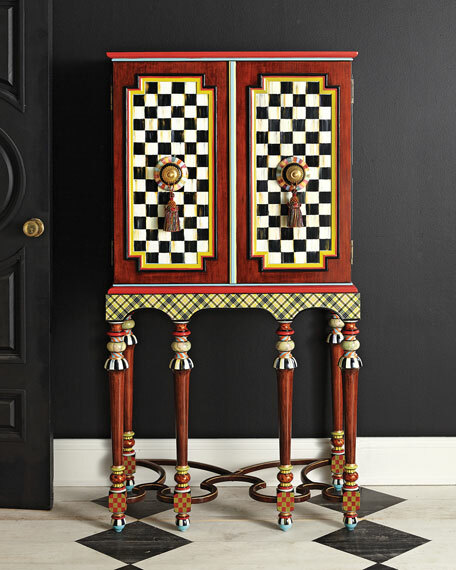 Inside features include three small drawers for storing utensils, one rack on each door for glassware (each holds 12 lowball/rocks glasses or small wine/water goblets), and an antiqued mirror inset in the back. 32"W x 18"D x 60.25"T.